I've considered doing a post on any sexist fuquerie I've found, but truth be told, there's just so much of it, I don't know if it would be worth it. By "so much of it," I don't mean there's too much to photograph, I mean it's permeated our society so much, we don't even notice it. 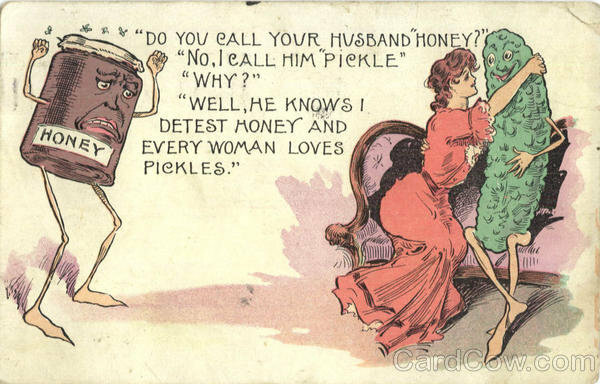 Pickles seem a little too acidic for that sort of use. Thrift Store Fuquerie On the Loose!